Have you ever wished to see your name and photograph in National Geographic? But you laughed it off because you thought you’d never get there anyway? Don’t give up just yet, keep reading, and then decide how to make your dream come true with travel photography! Sunsets in Hawaii, Maledive beaches, homes of African tribes, Roman ruins – in the days of social media, we’re constantly bombarded with incredible travel photography of places so beautiful we didn’t even know existed. And – let’s be real here – we envy them. Getting paid to travel and take pictures – what a dream job travel photography must be. But how in the world did travel photographers get to this point? And what does it take to be a travel photographer, who pays you to do this, and how do you become a travel photographer? Start shooting in your hometown and cities close to you and showcase your images on a website, social media account or your local newspaper. Learn how to gain followers. A lot of brands don’t only ask for a stunning photo, they love to work with you even more if you have a big following. Shoot tourist traps, but don’t take the picture everyone takes. Get creative. Venture off the beaten path, capture local scenes, immerse yourself in the culture. License your images, sell them online, and make money while you sleep or offer them to (local) newspapers and magazines. Reach out, reach out, reach out. How else are people going to see your work? Submit your work to contests, for example at Nat Geo or Guru shots. a telephoto lense for safari photography. A tripod and a remote always come in handy, especially if you’re shooting starry night skies. You’ll also need several batteries, memory cards and hard drives (and / or cloud space) and a good camera bag or even suitcase to store everything. And don’t forget your photography gear insurance! Airlines, print and online magazines, newspapers, tourism boards, other tourism providers such as hotels and restaurants, you name it – the list is endless. If you’re starting out, trades are a good way to get compensated as well: Ask your hotel or tour operators for a free stay in exchange for images. Reach out to people – hotels, restaurants, tour operators, airlines, etc. For example, point out to them what kind of photos their website or social media may be missing. Show them your previous shots. 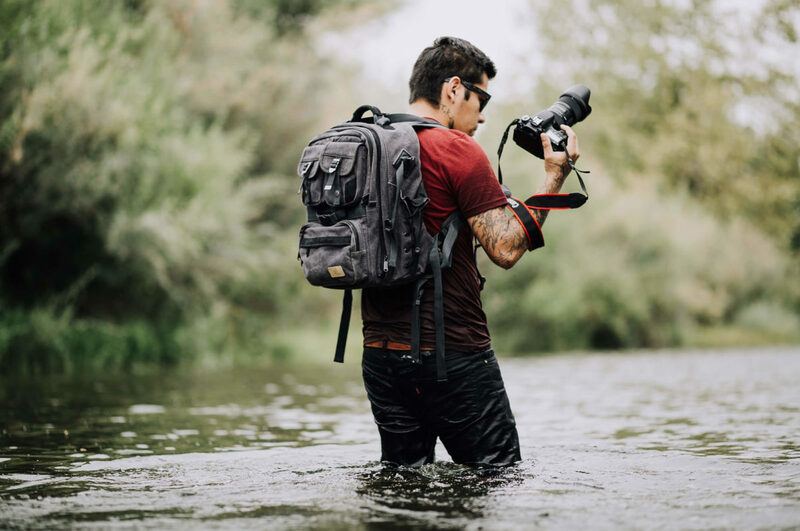 Team up with a successful travel blogger – exposure to plenty of followers for you and for the brand plus great photos for the brand you guys will be working with. Put yourself out there on social media – once you racked up enough followers, people will come to you. Showcase your photos on stock photography websites. Make sure to add relevant keywords. Yes, absolutely! You see others doing it, so why not you? Selling your images to newspapers, magazines, etc. Becoming a travel photographer depends on how much you want it and marketing yourself to the right people – people who want to pay you and appreciate your work (don’t forget that exposure doesn’t pay your travels!). Depending on who buys your images and what they’re using it for, one image can make you anything from a few hundred bucks to several thousand dollars. Photography tours can add up to a few thousand dollars and so can photography workshops. Passive income from selling classes online can easily lead to five or even six figures if they’re marketed correctly. A YouTube video with 300,000 views will make about $200. Travel bloggers, and yes, they count as travel photographers, earn a staggering $9,000 per shot if they have a large following. By the way, have you ever wondered if your images have been used by others without your permission? That is illegal and you should make the money you deserve. In case you find one of your beautiful travel photos used by someone without your permission, keep LAPIXA in mind. Because we help photographers get the money they deserve at no cost to you. Start by uploading your images here to see if someone is using them.